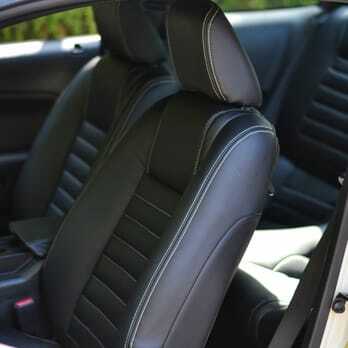 If blood comes in contact with your vehicle�s upholstery, do not clean it with hot water, which can set the stain. Make a paste with cold water and powdered laundry detergent. Apply to the stain until the stain dries, then use a brush or vacuum to remove it. Clean up any excess laundry detergent to avoid attracting more stains or dirt to the area.